How do I use ManageHub workspaces? How do I reset a user’s password or resend a user invitation? How do I change my email preferences? How do I use the Calendar and Event System? How do I upload or update my photo? Are you familiar with Baldrige? The Baldrige Performance Excellence Program is the world’s gold-standard of organizational excellence. It was established by an Act of the United States Congress in 1987. Its purpose is to encourage leaders to build solid, sustainable, and highly competitive companies that are able to grow, innovate, and succeed in the long term. Baldrige is used worldwide by the largest and most successful companies. For example past Baldrige Award winners include Motorola, PWC, Lockheed Martin, Boeing, Nestlé, and Caterpillar. 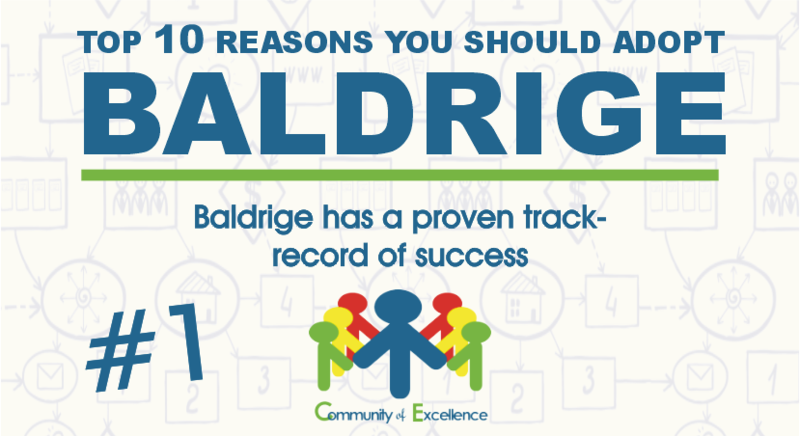 In this series we are listing the top ten reason why you should use the Baldrige Excellence Framework in you business. 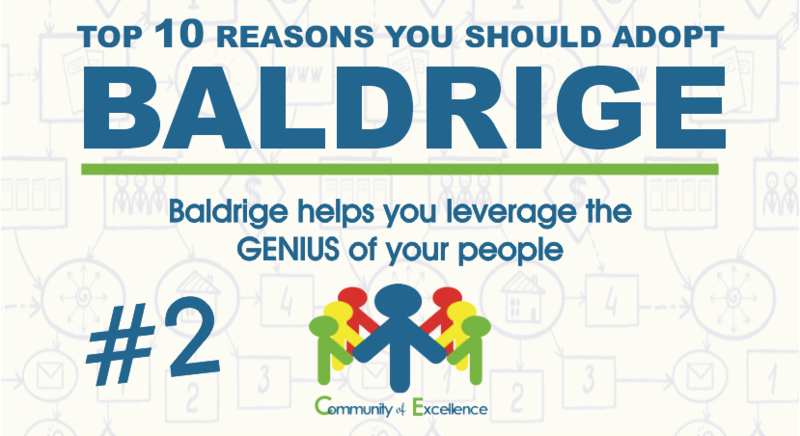 Baldrige helps you unlock the full creative power your people. This is important because your employees ~ especially your front-line employees ~ are your organization’s eyes and ears. They speak to your customers. They use your expensive equipment. They know what is working and what is broken. They have valuable insights into how your organization can reduce waste, improve efficiency, and increase customer satisfaction. Your employees can help you identify ways to improve your products, open new markets, and help your business stay competitive. However, none of these valuable benefits is possible if your employees are not properly engaged. Baldrige helps you create a management framework for your company where your employees are actively plugged into all aspects of your business. Leadership: Baldrige helps make every employee a leader of their own work. It helps you strengthen your company’s decision-making process so that everyone is engage in a thoughtful, rather than a knee-jerk approach. Strategy: Baldrige helps align your employees to your organization’s mission, vision, values, and strategies so that everyone pulls your business in the same direction. Customer: Baldrige helps your employees focus on maximizing your customer’s experience, and helps your company evolve with your evolving marketplace. Measurement: Baldrige helps you identify key performance indicators that you can use to measure the effectiveness of all aspects of your business. Workforce: Baldrige helps you create highly engaged employees where everyone feels valued and recognized for sharing their operational knowledge, actively learning new processes, reporting and resolving issues, and implementing ideas that improves quality, consistency, customer satisfaction, and minimizes waste. Operations: Baldrige helps you create repeatable processes that are not dependent on specific employees performing specific work. Having in place your company’s Baldrige Leadership Framework helps you create a more nimble, responsive, resilient, sustainable, and valuable business. Imagine the impact on your company ~ and your life ~ if your company’s operations are truly systematic and perform like a finely tuned machine. Imagine if your employees actively use your organization’s Mission, Vision, and Values to help make better decisions. Imagine if your employees are actively helping you create and implement your company’s strategic plans. Your business would be transformed into a highly organized, innovative, productive, and profitable market-leader. That is the power of Baldrige! Another important benefit is that Baldrige helps prepare your business for succession. Exit and succession planning is vitally important to the business, its owners, employees, and our economy. Over 70% of businesses are owned by baby-boomers who are nearing retirement. Most of these businesses are sorely unprepared for a successful transition. Experts predict that most will never find a buyer and will be forced to close their doors. The impact on employment and GDP is significant and worrisome. Adopting Baldrige helps leaders and employees build a sustainable and buyer-ready business that can outlive its owners and provide ongoing benefit to both its employees and local economy. 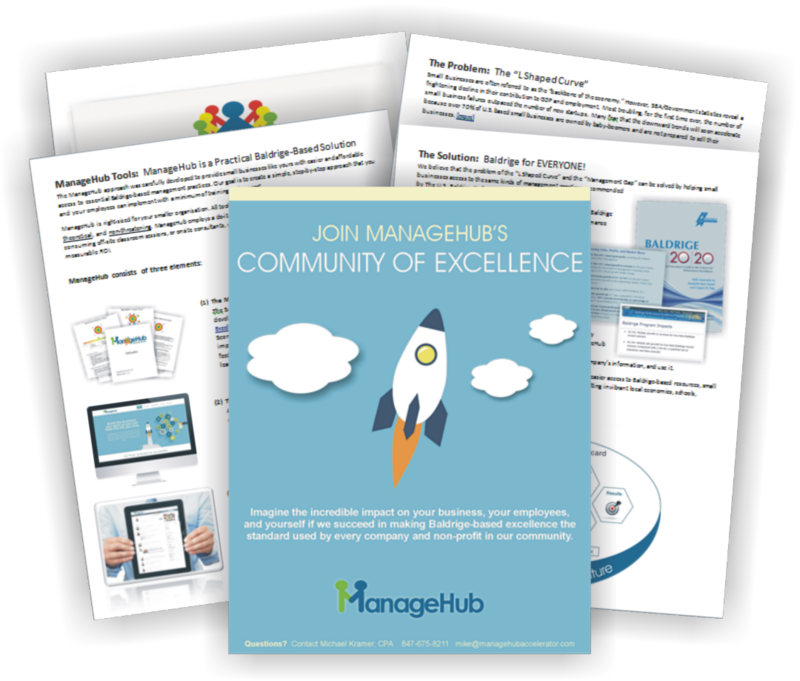 ManageHub and the Alliance for Performance Excellence (http://www.baldrigepe.org/alliance) ~ the outreach arm of the Baldrige program ~ have created the “Baldrige for Everyone” initiative. The initiative includes tools, training, assessments, support services, and a new Baldrige-based award issued by the Alliance. Our objective is to make adopting Baldrige-based performance management easier, faster, and more affordable. 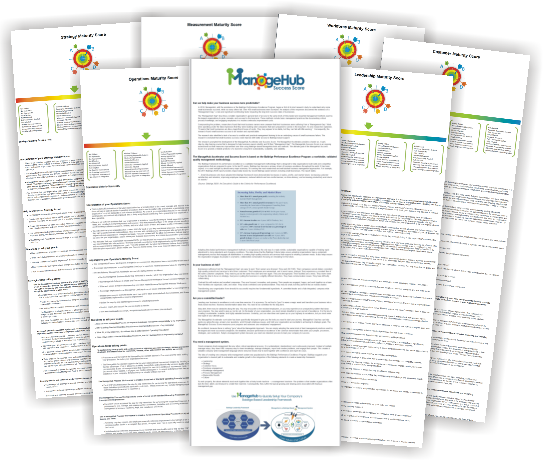 ManageHub and the Alliance for Performance Excellence ~ the outreach arm of the Baldrige program ~ have been working together to create the “Baldrige for Everyone” initiative. The initiative includes tools, training, assessments, support services, and a new Baldrige-based award issued by the Alliance. Our objective is to make adopting Baldrige-based performance management easier, faster, and more affordable. An Innovative, 4-Step, Baldrige-based Approach to Optimize Your Supply Chain. © 2019 Managehub Accelerator. All Rights Reserved.